Take a look at all of your branded material online — your social media profiles, your website, the blogs you create, the emails you send out, your graphics, your display ads, and anything else that is associated with your brand. If you were to remove the logos, would all those pieces look similar/related? Would there still be a unified, consistent look among all of those elements — or would you not be able to tell they even came from the same company? If the latter, you may have a problem with brand consistency for your hospital marketing campaign. Learn more about why brand consistency is important and how you can build a stronger, more unified brand for your hospital. People have an innate ability to recognize patterns. We also have an innate ability to recognize and associate with brands, in that we notice what makes a brand stand out and recognize those elements when we see them later — and also, we build positive or negative connections between a brand and our opinion of it. For example, seeing a physical example of McDonald’s “Golden Arches” is commonplace. We all know what those arches mean, just as we know what it means when we read McDonald’s tagline, “I’m Lovin’ It” or see one of the company’s advertisements. You could remove the logo entirely from the restaurants and the company’s marketing materials and you’d still be able to tell from the company’s consistent use of various other brand elements that you were standing in a McDonald’s (or reading/viewing a McDonald’s advertisement). And of course, every time you notice one of these elements, you experience emotions and thoughts about the brand (good or bad). Brand consistency matters because it’s these strong brand connections that ultimately drive business. This is especially important when it comes to hospital marketing. A hospital isn’t a place people go because they want to — they only go there when they need to. And since no one knows exactly when he or she is going to experience that need, it’s important to ensure that your brand is “top of mind” when the time comes. Otherwise, your customer could choose another provider. The simple truth is, people choose whomever has the strongest, most memorable brand. But you can’t make your brand strong or memorable without also making it consistent, and ensuring that it delivers the same message, no matter where your audience sees it. First and foremost, your hospital should have a brand guide. This is a document that codifies all that the brand is — not just how it looks, but also the brand messages to be communicated. This guide is where you spell out slogans, taglines, core values, messages, talking points, and the like —anything, that is, that can be used to create a message that a potential patient will encounter. Of course, how a brand looks does also matter, tremendously. That’s why a style guide should be a part of the brand guide. The style guide dictates, to the finest detail, how the brand will look — which is key to ensuring consistency in any graphic you create, whether it’s a Facebook page, a print ad, a display ad, a social media post, an infographic, or a logo for a TV commercial. Your guide can get very specific in detailing brand directions for each medium. For example, if you run ads on television, your guide can dictate what branding elements will be in each commercial. If you post on social media and create images for the post, you can stipulate what each image must look like and contain. 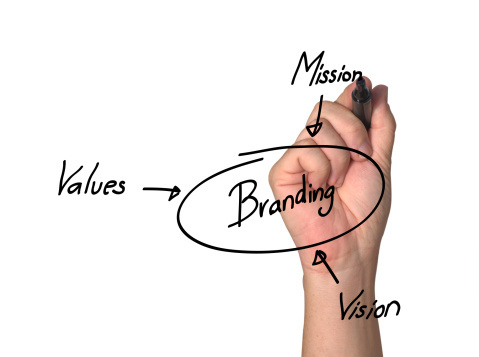 Everyone on your team needs to have the brand guide and be on board with it. This is crucial for successful hospital marketing. Otherwise, you’ll have different people creating different things — applying brand elements inconsistently across marketing materials. And that lack of consistency dilutes your brand. All of these qualities need to be in place, especially the cohesive aspect. Your brand should have the same uniform appearance wherever it appears. Checking it on a regular basis — maybe once a quarter — not only gives you opportunities to revise it if needed, but also keeps everyone on the same page. If you’re interested in advancing your hospital marketing campaign with consistent branding across all media, contact TotalCom Marketing. We’d be more than happy to help create winning branding campaigns that improve recognition and build trust within your market. In healthcare marketing we have to walk the line between expertise and emotion. People will be drawn to your facility for your expertise, reputation, outcomes, physicians, and technology, but those alone are not enough to convince them to choose your hospital. Emotional marketing is key. Ones health is very personal and patients choose healthcare facilities because they trust them and connect with them – on an emotional level. So promote your technology, new services, and procedures, but do so in a way that connects with your audience. One way to connect with future patients on an emotional level is through a strong branding strategy. Effective branding relies on consistency. Your logo, colors, tone and message should always remain the same regardless of the platform you are using. If a consumer is familiar with your TV ads, they should have no trouble recognizing your outdoor or paid ads on Facebook. Marketing your hospital across multiple media outlets helps build a stronger brand. If your TV and radio ads are combined with a good social media presence and outdoor, people will become more familiar with your facility than if you just focus on one medium alone. It takes several touch points before consumers make a decision – they need to see you and know you before they choose you. Consumers connect emotionally when you tell your story. Patient testimonials are great because they involve a real person telling their real patient experience at your facility. Prospective patients can relate to the condition, the apprehension, and the suffering and yearn for the same positive outcome. Patient stories can of course be told through traditional media. But, blogging and online videos can also be very effective for relaying a patient’s experience. Having both video and audio and little more time than is available in a television commercial, makes video testimonials especially powerful. Another way to tell your story is from the perspective of the physician. For instance, if someone is searching online for solutions to their back pain and they find a video of your physician explaining a new procedure done at your hospital, they can begin building that bond of trust before ever meeting the doctor in person! Video makes doctors human, takes away some of the anxiety and makes the prospective patient confident in the expertise of the physician and the facility. People are more likely to connect with your hospital emotionally when they see others have that connection. That is why it is so important to encourage your patients to engage on social media. There are several ways to do this. One idea is the use of a specified hashtag. Brookwood Medical Center in Birmingham, AL has had great success with this strategy. In their #ichooseb campaign they urge patients to use the hashtag and then give the reason they chose that particular hospital. When you do experience social media engagement, make sure to nurture it by responding. You build that emotional connection when you respond to someone’s social media post because it shows to that patient and their friends that you care about what they have to say. If you need help connecting with your target audience on a more personal, emotional level, contact Jimmy Warren today! A critical view of your brand can make it enduring and stronger. A hospital’s brand is extremely important. With the changing healthcare environment brands are in transition with new alliances, new ventures, a host of rating organizations, consumer-driven marketplace and so much more. Which means it’s more difficult to keep a strong and consistent brand. It’s crucial for hospitals and healthcare organizations to frequently revisit the brand, reassess and keep the brand as clean and consistent as possible. Here are 5 tests every brand should ask and consider on a regular basis. 1. How is your brand perceived in the marketplace? What is the consumer perception of your brand? Is it gaining strength or waning? Does the consumer have a clear idea of what and who the brand is? Do they know what the brand stands for? Is the brand relevant to the consumer? 2. How is the brand communication? Take an inventory of all brand touchpoints. Patients, physicians, providers, payers, employees, management and board. What is the brand communicating to each? Is it consistent? Does it reflect the mission and values of the organization? 3. Analyze your brand architecture. In many ways this may be the most difficult. As organizations grow and change, it’s difficult to keep consistent and clearly defined brand architecture. Do patients understand the different product and service lines and how they relate to each other and to the master brand? Is there confusion? A weak brand architecture creates weak brand equity. 4. Assess the brand expression. Does the brand have a consistent image, look and feel across all touch points? Can the consumer tell that all parts of the brand are part of the overall brand family? 5. Examine the brand expression. How is the brand expressed? Does it have a consistent tone, personality and message? Do all the communications speak the same voice and reflect the same character and heart? In today’s environment it’s so easy to get sidetracked, disjointed and inconsistent. It’s easy to get going in too many different directions and sacrificing the brand for expediency or politics. And when this happens, the brand is weakened. Healthcare marketers should constantly be asking these questions and diligently communicating a consistent, well-planned and strong brand. Across all platforms, to every audience and with every execution. I know it’s easier said than done. But we must always be fighting the good fight to protect and enhance our brand. Use these suggestions to make your hospital more than an organization, make it more human. Build relationships that are more personal. Create more loyalty. Impact your brand. Too often consumers’ relationships with our hospital are strictly transactional. They use the hospital to get the service they need. Nothing more. But we can help them develop positive feelings and emotions about our brand. And build brand loyalty. In today’s socially charged world, there is a need for hospitals to develop a persona, create relationships that are more than just transactional. To be helpful, meaningful, engaging. To develop a brand for our hospital that people like. A brand they trust. A brand they are loyal to. Corey Eridon posted a blog for HubSpot that offered suggestions on how an organization could do this. I borrow some of his ideas here that could help humanize your hospital’s brand. 1. Write an “About Us’ page that’s actually good. Here is your chance to tell people who you are. Give your brand a personality. But more often than not, its boring, stale, factual information about your hospital. Why not use it to show your personality, to be interesting and give a reason why the reader should care about who you are? 2. Kill the business babble. Hospital or clinical jargon doesn’t cut it. Be clear and easy to understand. Talk as if you are having a one-on-one conversation with someone in person who knows nothing about your industry. Talk like a person. And this goes for ‘About Us’ pages especially. 3. Publish photos of your people. People doing what they do. At work, volunteering, in serious activities and even in more light-hearted ones. Let your people’s personality show. Put a face on the place. Make it about people who work at your hospital and not about an organization. 4. Sign your social media updates. If you have various persons posting on your social media sites, let them sign it. This helps people know there is a real, live, breathing person behind the brand. 5. Have conversations with fans, followers and commenters. Make sure all the conversations aren’t just about your hospital. Venture outside the norm a bit so you can be real. Make it abut them. 6. Encourage employees to be social on behalf of the brand. Sure there has to be a strong social media policy with guidelines and restrictions. Especially with regard to HIPAA regulations. But letting your people help humanize the hospital through their social media channels can be very helpful personalizing your brand. On those occasions when customer service is not what you want to be admit your shortcomings. Everyone screws up. It’s human. It’s how you respond to mistakes that matters the most. Be genuine, care and own up to it. 8. Take off your marketer’s hat sometimes. Sometimes it’s good to see things a little differently. Like through the eyes of the consumer. Step back, stop being a marketer for a bit and just be a consumer. You may see things a little differently. That’s what marketing is really about anyway. Make your brand more human. Build rapport with your audiences. Be a friend and just “hang out” with them sometimes. Be authentic. Build lasting relationships! Improve your hospitals brand and message recall. 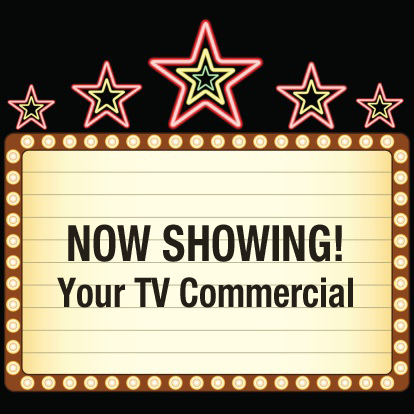 Run your television commercials on the big screen. Television advertising continues to prove to be very effective. And research indicates that running those same spots simultaneously as cinema ads significantly improves that effectiveness. Research commissioned by NCM Media Networks concluded that TV commercials played in movie theatres substantially boost both recall and likability. A multi-media approach always has strong advantages over a single media campaign. And this research indicates that combining two sight, sound and motion mediums is particularly effective. Television provides broad reach and the cinema experience boosts engagement levels. The research, reported by Joe Mandese in Media Daily News is based on an eight-year study of more than 22,000 consumer responses across 29 product categories. The results show the combination of TV and cinema, on average, generated a 65% lift in brand recall and a 94% boost in message recall. Essentially, television provides the reach and cinema strongly reinforces the message seen on television. So as healthcare marketers, if we are using television advertising as part of our media mix it might be helpful to consider running the same ads at the movies. According to this research, it could significantly improve your television advertising effectiveness. PR and publicity are important tactics in creating positive “buzz” for a hospital’s brand. PR has always been an important tool of every healthcare marketing department. But there has been a major shift in the healthcare industry that includes the resurrection of public relations. Many ad budgets have been cut. Less is being spent on traditional media. But in many cases more is being spent in PR and publicity. Generally, PR has been the poor, ugly stepsister to the advertising function. PR was just a way to keep the hospital’s name in the newspaper and for hospitals to pat themselves on the back for their community involvement. PR was considered free and regularly not much more than an afterthought in the marketing plan. It was an add-on to an advertising campaign or something done to keep the management team and board happy. But today, many hospitals are placing much more emphasis on PR. In addition to moving some of the budget from traditional media to new media, event marketing, social media and mobile marketing PR and publicity is playing an increasing important role in the marketing department’s strategy and efforts. With a shift toward customer-generated media, PR becomes more critical to the hospital’s marketing efforts. “PR plays into the whole ‘buzz Marketing’ trend”, stated Tony Mikes of Second Wind. “PR is very much about brand awareness, so we can certainly accord some of the credit for PR’s emergence from the shadows to the rise of branding as a critical marketing tactic.” Creating “buzz” and keeping the hospital’s name in the news and on the lips of influencers and consumers are extremely important. As marketing becomes more consumer-driven and consumer- controlled, PR and publicity can play an even bigger role and sometimes more effective role than advertising in enhancing the brand in the minds of the consumers. PR and publicity are also important for place-based media efforts. Pre-promotion of staged events creates attendance and media coverage while post-promotion extends the chatter. PR should no longer be an afterthought, but an “automatic.” PR and publicity can boost the hospital’s brand organically and authentically. Complimenting and enhancing all the other marketing activities. 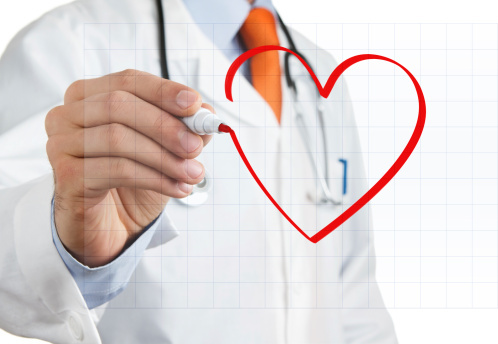 Healthcare Marketing: Let’s HEAR it for the Brand! Just like brand visuals, audio can help recognize, identify, position and enhance a brand. Imagine a swoosh. What do you think of? Nike, of course. When you see the NBC peacock, does a sound come to mind? It’s the three distinctive chimes that have been associated with NBC since the 1920s. It’s almost impossible for anyone who has a television to hear those three notes without conjuring up the brand. Which proves audio branding can be just as strong as a great visual. Just like a strong established visual, sounds can also reach beyond the rational mind and tap into memories and emotions. Audio branding uses sounds to create memories or positive memory triggers that help recall a specific brand in the mind of consumers. As LeeBeth Cranmer, writing for SecondWind states, “It’s not merely background music but a sound that represent the identity and values of a brand in a distinctive manner. McDonalds is another brand that effectively uses audio branding. As soon as you hear that “I’m l Lovin It” audio you probably think about the golden arches. United Airlines has used an adaptation of George Gershwin’s “Rhapsody in Blue” for generations. And who can hear the four Intel tones and not think of “Intel Inside? Because we live in an age of sound, there is a great opportunity to tap into a medium that can create strong memories and emotional connections with your brand. Healthcare marketers should consider audio branding as a component of their marketing strategy. And audio branding is not limited to music or musical tones. It could be a distinctive voice, a sound effect or a particular way of saying a tagline. We spend great amount of effort and money working on the visual identity of our healthcare brand. Strong consideration should be given to creating that audio identity as well. To make sure your brand is not just seen but also heard. 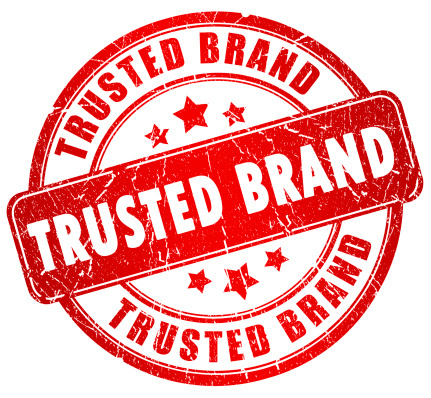 What a brand promises and how a brand acts must be consistent. Otherwise the brand suffers….. and presidential candidates lose elections. This blog is a little longer than most but I think it’s worth the read. Jim Signorelli, CEO of ESW Partners, wrote an article for Adrants that addresses why he thinks Romney lost the presidential election. His premise is that voters perceived too much of a gap between what Romney said and how he acted. While Obama’s words and actions were very consistent. The “story logic”, as Signorelli termed it, was not consistent for Romney. The reason the article is compelling for healthcare marketers is because it makes the case that perceptions and reality must be consistent with each other. In marketing terms, a brand promise and brand image (inner layer) must be consistent with what’s actually delivered (outer layer). If the gap is too wide, the brand loses favor in the minds of the consumer. It’s a lesson we all know as healthcare marketers and the truth of it can even be confirmed in the world of politics. From the early beginnings of the race for the White House, the news media seemed deeply concerned about who would have the biggest war chest. Certainly, dollars have historically contributed a great deal to winning Presidential campaigns. But given that Obama scored a 62% Electoral College advantage with only 4% more spending than Romney, the power of money has been seriously called into question. Money buys audience reach, message frequency and media placement. Money also pays for the creation and production of messages as well as the necessary wherewithal to administer those messages. We cannot discount the importance of these financial realities. But there is one variable that has recently gained enormous power. Unlike the other variables, it doesn’t depend on spending. It costs nothing more than respect for its existence and adherence to its demands. In part, it is driven by the new order of social media and its ability to make brands more transparent. It’s called story logic. Story logic runs deep in every brand, including those of Presidential candidates. As consumers, we don’t see it, but we do sense how strong story logic is or isn’t. To apply story logic to any brand, one must first see the brand as lead character in the story that it sets out to tell its audience. Specifically, a brand is very much like a story’s protagonist confronting certain obstacles to achieve certain goals. Both story protagonists and brands are multi layered. Their surface, or outer layers, contains visible behaviors. In the example of brand Romney vs. brand Obama, each candidate’s outer layer consisted of things said, done, and promised prior to and during their campaigns. Going deeper, the brand’s inner layer is like the engine under its hood. It consists of beliefs and values that fuel the brand’s outer layer and helps audiences discern what the real beliefs are behind the brand’s behavior. As marketers, we can voice what a brand’s outer layer consists of. But the truth of their inner layers is completely dependent upon the voices inside the heads of their audience. Story logic is simply the linkage between a brand’s inner and outer layer. When what we see or what we are told about a brand’s promise runs contrary to the value or belief we ascribe to that brand, the logic chain is broken and the story becomes something that doesn’t make sense. In the contest between Romney and Obama, it was relatively easy to infer that each brand had polar opposite inner layers. One was driven by the belief in strong government; the other put greater stock in the private sector. From a social perspective, one candidate held more liberal beliefs and values and his opponent’s were more conservative. We were able to infer the difference in values and beliefs from each candidate’s outer layer promises and plans to support specific policies. However, when one looks at the many surveys taken prior to Election Day, a few stand out. They are those that reflect the relative consistency between each candidate’s outer and inner layer. In a poll taken by Time Magazine, one month prior to the election, readers were asked, “Which candidate is more truthful, Obama or Romney?” Obama outpaced Romney 72% vs. 28%. In a similar poll conducted by Newhouse in October, Obama’s ads were seen as more truthful than Romney’s, 42% vs. 30%. Whether you give credence to these polls or others that asked similar questions, we all know that Romney was often described by pundits as a “flip-flopper.” “Flip-flopping” occurs when a brand’s outer layer is perceived as a moving target. The biggest blow to Romney’s story logic came from his secretly filmed 47% comment that was picked up and repeatedly viewed on YouTube and other media outlets. Despite Romney’s admission that this statement didn’t reflect his true feelings, it created a great deal of dissonance. Dissonance is the enemy of story logic. Some have argued that Romney’s ever-changing outer layer resulted from efforts to be all things to his highly fractionalized party. But in Presidential elections as with brands, the perceived consistency between beliefs, values, and actions has a great deal to do with winning votes or customers. Lack of layer consistency, perceived or real, can only result in confusion, dislike, and distrust — or all of the above. It is hard to know if Romney would have won had there been a stronger link between what he stood for and what he was promising to deliver. Arguably, stronger story logic would have turned off certain factions at the expense of others. On the other hand, Obama had the story logic advantage. Whether you agreed or disagreed with his actions and promises, his consistency was rarely called into question. Clearly, he had obstacles to overcome given the worse economy since the Great Depression and social policies that were labeled by many as socialistic. But unlike Romney, the link between his outer and inner layer was unwavering. Jim Signorelli is CEO of ESW Partners, a marketing communications agency based in Chicago specializing in branding. He recently published a book, StoryBranding Creating Standout Brands through the Power of Story. Healthcare Marketing: Should “We Try Harder”, Keep Tagline Longer? Another tagline bites the dust! Avis drops it’s branding line “We Try Harder” …after 50 years. Avis Car Rental has recently announced they are dropping their iconic brand positioning line, “We Try Harder,” and replacing it with “It’s Your Space.” Whether that’s a smart move will be determined but from an outsider looking in, I might have to question the move. “We Try Harder” was introduced in 1962 by Avis with the help of DDB and became the brand’s promise about the quality of its service and as a way to position itself against the category leader Hertz. It was a huge success for Avis. In a matter of a single year, that campaign reversed the company’s fortunes, helping it to go from losing $3.2 million to turning a profit of $1.2 million for the first time in 13 years. It worked! And it identified a brand. Now it is being replaced with “It’s Your Space.” One has to ask, what promise does that line really deliver? The firm is repositioning itself to appeal to business travelers who spend a lot time in rental cars and trying to communicate that time inside a rental car is where business travelers can recharge or be the most productive time while traveling. Maybe it will work but it seems a stretch to me. Maybe it was time to abandon the old line since Avis had fallen from the number two car rental company to number three behind Enterprise Holdings (Alamo, Enterprise, National) and Hertz. Maybe the company had stopped trying harder. Or maybe they indeed do need to reposition itself for business rather than leisure travelers and this was to way to do it. But you sure hate to see a classic, effective and company-defining line disappear. For hospital marketers, branding lines come and go. And I would be one of the first to say they need to be periodically updated and changed as the brand and the market landscape changes. But it should be a strategic move based on sound research and not just on a whim. Internally we may get tired of a branding line but it is often long before it becomes ineffective with the consumer. And with a line like the one used by Avis to brand, position and define the company and which is firmly implanted in consumers’ minds, marketers need to be very cautious before making a change. There are some very solid reasons a branding line should be changed from time to time but we must be sure it’s a strategic reason and not just because we are tired of the old one. If the one we are currently using was strategically developed and implemented and it was effective, about the only reason to change is because the brand, the market or the competitive landscape has changed. We must be very sure there are strong reasons to give up the brand equity that has been developed with the current line to start over with a new one. Again, I’m not against changing lines but only after research and deliberate consideration. And as hospital marketers, we must be sure the new brand positioning line is better and stronger and connects better with our audiences. For Avis, I’m not sure “It’s Your Space” does that. I just wished they had tried harder.